The mat makes for a comfortable workout, effectively cushioning your feet, hands and knees on contact. The roll up design of the mat means that you can store it in the smallest space and easily fit it in your gym bag. 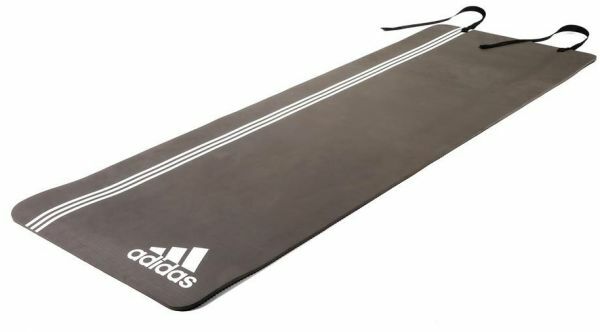 The iconic three stripes can be used as a guide for developing good posture and positioning on the mat throughout all moves and stretches. It is long enough for full body stretching and thick enough for ground based strength and power moves.